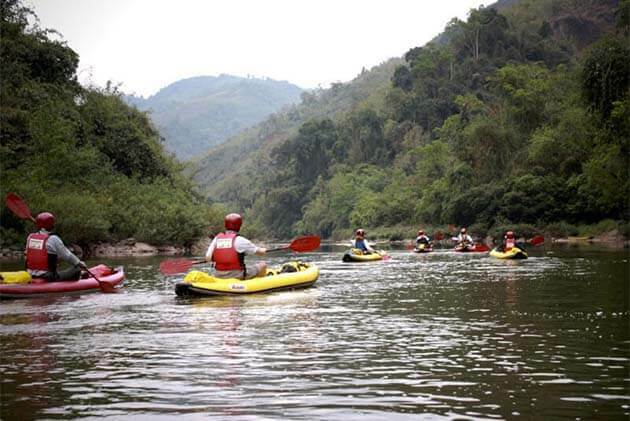 Recently, Laos emerged as a famous land for adventures. If you love the unspoiled natural scenery of Laos, walking through dense forests, visiting traditional villages or taking a dip in the cool waters are the best experiences that Laos Tours bring to you. If you are planning to go to Laos to exploring this land, here are the top 5 amazing activities in Laos you can follow. For those who like a little daredevil adventure, head to northern Laos where you can go to the Gibbon Experience and fly at amazing speed through thick forests and valleys on a zip line. From the high 500 m above the ground, you can see the clear the large view, fly together with the birds. Immerse yourself in nature, it seems that every worry in your mind low out. If the trip is only zipping, it’s not enough for you. Besides, you will have the experience to sleep at the tree houses that are accessible only by zip-line. It can be admitted that this is an amazing experience in Laos. Escape to the chaotic city, come to Si Phan Don to relax and enjoy the great moment on the island. Come to the “4000 islands”, you not only to relax, but it also becomes one of the best spots to kayak. 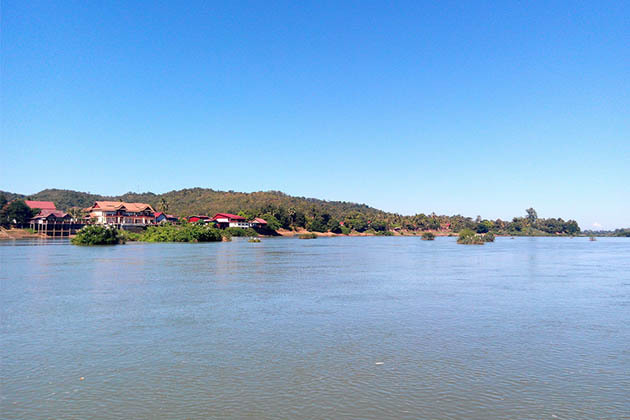 Go along the gentle Mekong river and take in the amazing scenery. Drop yourself in the middle of the large lake, while you are rowing, if you are lucky, you have the chance to meet the endangered Irrawaddy dolphin! 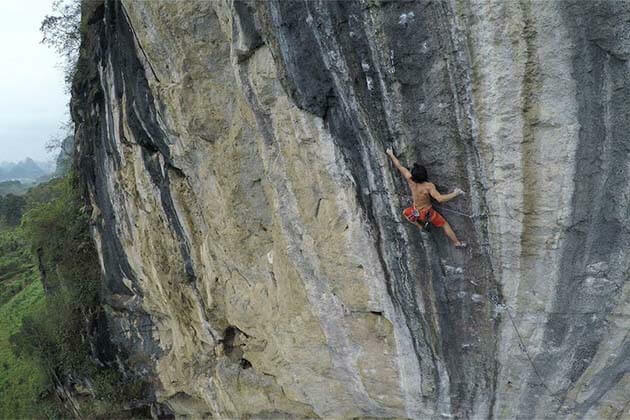 Climbing spots in Laos are always the best choice for travelers who like the adventure tour. Land in Laos, you can move immediately to the Backpackers’ hub in Vang Vieng where the place is famous for outdoor activities in Laos. Prepare the most things you need to climb, come to the small settlement near to the Ou River of Northern Laos, Nong Khiaw, you can own the rock and scale the surrounding limestone mountains amidst the most beautiful landscapes you could ever imagine. 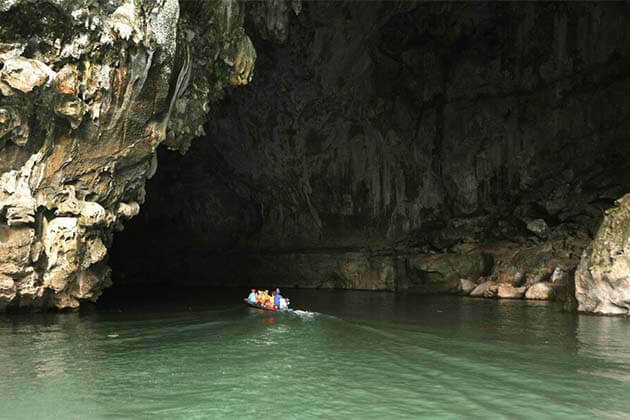 Stretches 7 km long and goes 91 high, Tham Kong Lo Cave is one of the most scenic places in Laos. Hire a small boat and navigate your way through the wide river passage before stopping off to explore on foot. While rowing the boat, don’t forget to bring the torch because you may also go to the dark cave. The cave will be more beautiful and mystery than ever when coming with a torch. If you don’t know the way, you can go with the locals, they will head you off and tell you the story about the strange limestone.